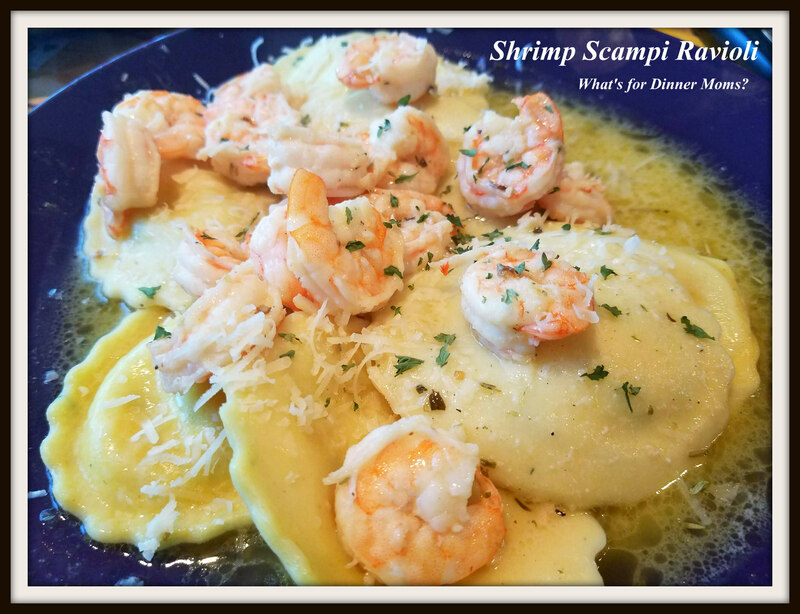 Shrimp Scampi Ravioli – What's for Dinner Moms? Sometimes we want a nice meal at home for a celebration or just a I’ve had a rough week and want something really delicious now. But, we don’t always feel we have time to make anything special. And, I don’t always want to spend the money to go out for a nice dinner. Looking for a kind of nice homemade dinner but short on time? How about a semi-homemade meal? I made this meal using large frozen cheese ravioli and frozen shrimp. You can use either the cooked frozen shrimp or the uncooked. Just adjust the recipe for cooking time of the shrimp if they are uncooked. When your children are licking their plates because they don’t want to let any of the sauce go to waste you know you have a hit on your hands! They loved that it looked like a restaurant meal and tasted like one too. I served this with a green side salad and green beans to complete the meal. Begin heating water for ravioli. Heat a skillet over medium heat and add olive oil. Add shrimp and cook until tender and no longer translucent, reduce heat. Remove Shrimp and set aside. Add garlic and cook 2-3 minutes. Do not allow garlic to brown – it will make it bitter. Add white wine, and lemon juice. Cook until wine is reduced by half. Add basil to the sauce. Add ravioli to boiling water. Cook according to package directions and drain. Reduce heat to low, add butter to pan. You want the heat low enough that the butter does not separate. 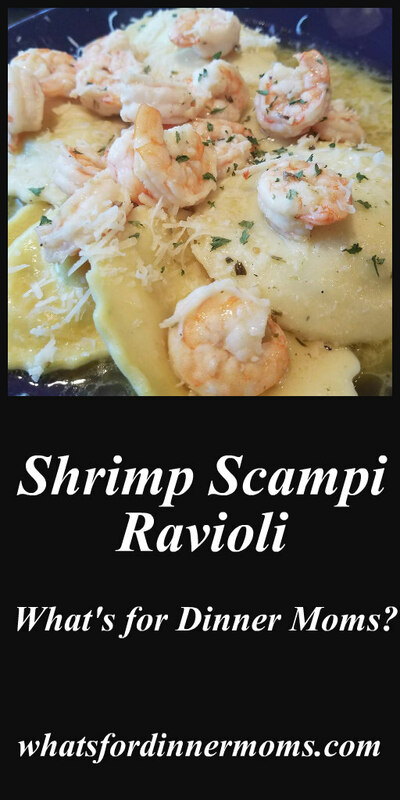 Serve ravioli with shrimp and sauce served over the top. Sprinkle with Parmesan cheese over the top. This looks so good that I “Pinned” it twice! Mmmmm…looks so good! I’d lick my plate clean too! I love shrimp, this looks appetizing, Marci. Yummy, Marci. Love the look of this.